It’s Time for Local Shopping to Disrupt the Internet. Web and mobile shopping has not been kind to local retailers, and if the news is to be believed, the situation promises to get worse. But the internet is just a tool, as easily used for good as evil. At Main and Me, we re-purpose the same technology Amazon and Zappos use to showcase their products and drive traffic to their stores to tilt the playing field back in favor of local, independent retailers. Sound interesting? Most local retailers have a vague sense they should be doing something to compete online, but they’re “sold to” all day long and it’s hard to cut through the noise and know what to do. Adding to the problem, busy merchants have too many passwords to remember already; their inventory isn’t easily digitized or maintained, and; they lack the time and resources to begin processing and shipping online orders. Enter Main and Me. Main and Me knows you don’t really want to start an Amazon out of your storefront. You just want to showcase your products online so web and mobile shoppers can easily discover them, then come down to your store to buy them. 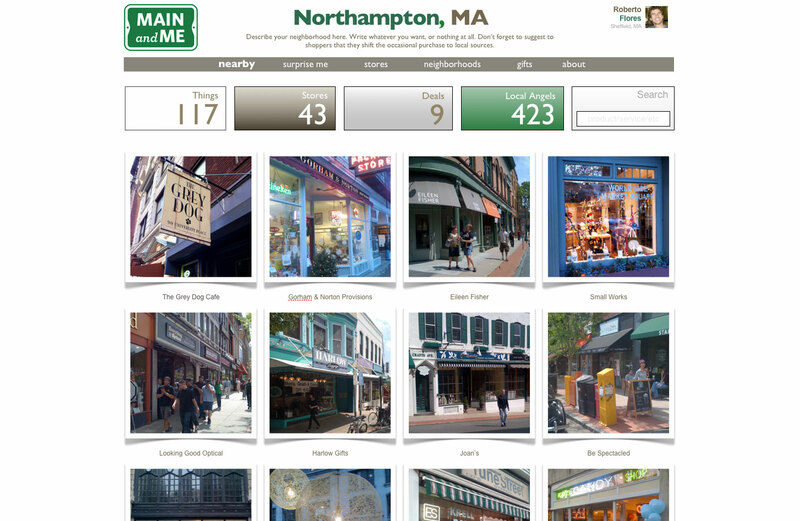 To that end, Main and Me uses web and mobile photo sharing to allow local-passionate shoppers, merchants and downtown executive directors to “put your community online in a day.” Our super-simple web and mobile app make it a snap to upload photos of your favorite local products to your shopper’s or merchant’s page, then sit back while we leverage all the photos uploaded from your community to create a unique web and mobile “Main Street” shopping experience for your downtown shopping district and every store in it. By allowing shoppers to browse, like, comment on and add products from your store pages, your community page and even from other shoppers’ pages to their own shareable lists, your local products and local stores go viral and become even more become discoverable amongst passionate online shoppers, connecting the world of online shoppers to your offline Main Street stores. There are many more benefits–like the ability for merchants to see who loves what and offer deals and discounts to their most influential customers–but that’s icing on the cake compared to the huge lift derived from finally making your town–and every store in it–discoverable and “window shop-able” online.